Union Ink’s Mixopake Series will enable you to create any color in the PANTONE® Matching System and all Union Ink standard colors when printed on 100% cotton white or dyed fabrics. Mixopake Series inks are also an excellent choice for standard colors when color matching is not required. Mixopake Series inks are balanced, ready-for-use plastisols not pigment concentrates. 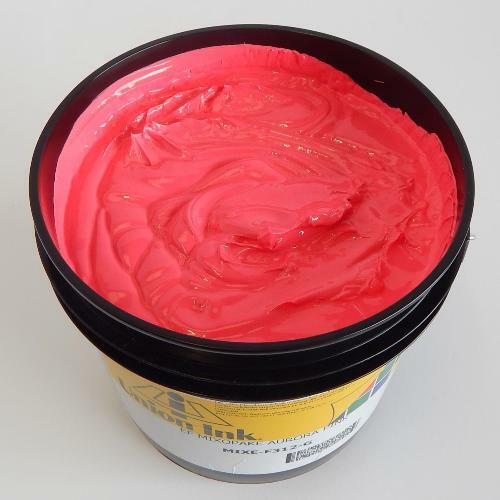 Mixopake inks print easily by hand, as well as, on the fastest automatic presses. The MIXE-1000 Super White is extremely opaque, easy to mix with other MIXE Series colors, and performs well as a fast flashing underbase white on 100% cotton fabric. Mixopake Inks are high-opacity inks.